"Coming off of one of the most adventurous records we've ever made, followed by two of the most challenging and ambitious tours we've ever put together, we wanted our next project to be something that took us even further out on a limb. These new songs document the season we're in as a band right now. We're extremely proud of it and wanted to put it out as fast as possible," said NEEDTOBREATHE. 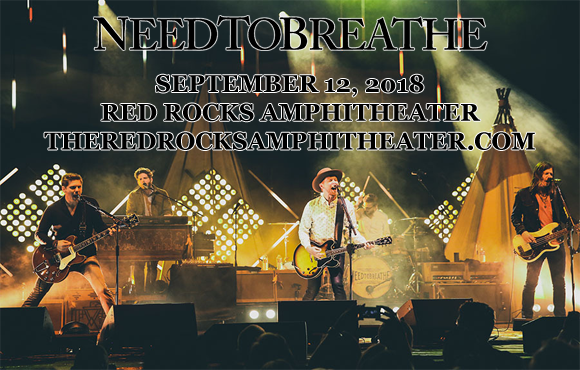 American Christian rock band Needtobreathe formed in Seneca, South Carolina, in 1998, releasing their independent debut album, The Feature, in 2001. In 2005, the band was signed to Lava Records, a subsidiary of Universal Music Group, releasing their debut studio album, Daylight, in 2006 to critical acclaim. The band's follow-up, The Heat, was released later that year and was nominated for two Dove Awards at the 39th GMA Dove Awards. It also launched the single "Washed by the Water", which won the Dove Award for "Rock/Contemporary Song of the Year" the following year. The band have released six studio albums to date and they have won ten GMA Dove Awards throughout their career.